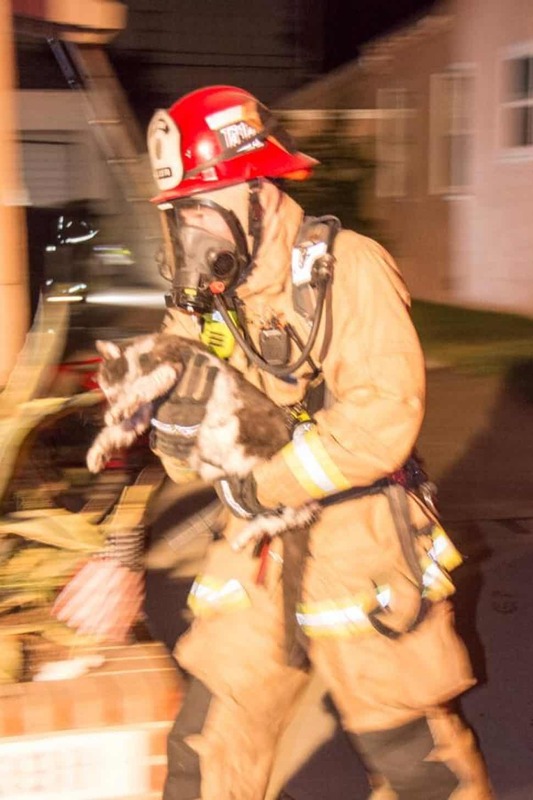 Firefighters gave the cat oxygen from a mask after saving it from the blaze. Photo courtesy the Long Beach Fire Department. 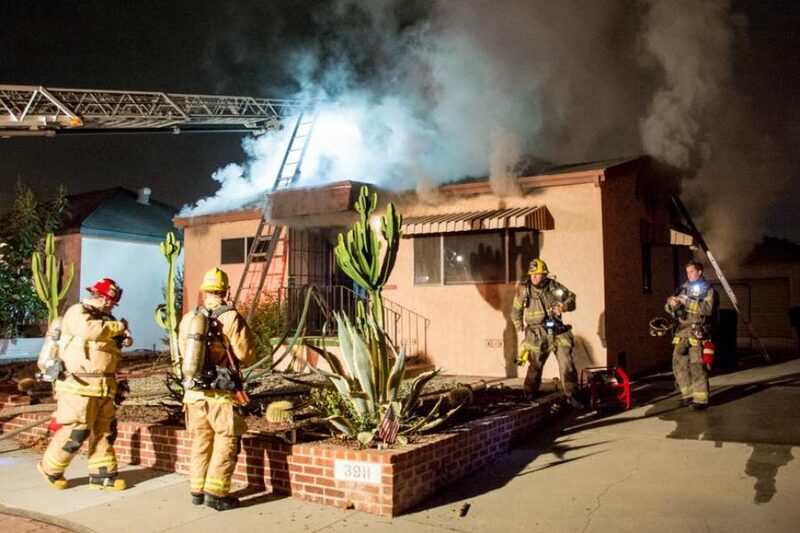 Long Beach firefighters rescued an elderly woman’s cat from a house fire in a neighborhood near the Traffic Circle early Tuesday morning, according to authorities. The blaze started in a house on De Oro Way near Euclid Avenue around 4 p.m., prompting crews to rush to the scene, Long Beach Fire Department spokesman Capt. Jack Crabtree said. The woman who lives there had already gotten out by the time firefighters arrived, but her cat was still inside, according to authorities. The fire did significant damage to the home, leaving the resident and her cat without a place to stay. Photo courtesy the Long Beach Fire Department. Once they found the cat inside, they gave it oxygen from a mask to help it breathe after getting out of the smoke, Crabtree said. Firefighters then quickly doused the fire, which did significant damage to the home. The woman wasn’t hurt in the blaze, but she and her cat were both displaced because of the damage. The Red Cross and animal control are helping find them places to stay, Crabtree said. Authorities are still trying to determine what caused the blaze.